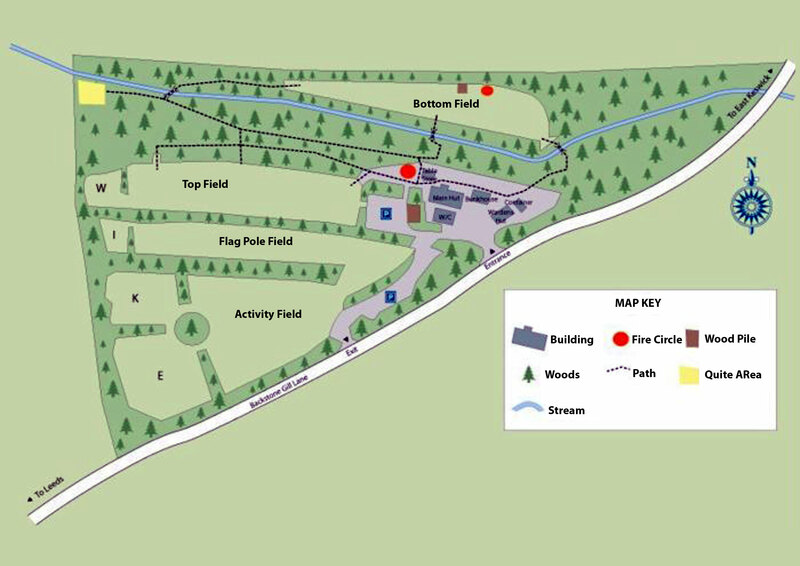 Please see the below campsite map for the locations of our camping fields and indoor accommodation. Further details of the camping fields and indoor accommodation can be found on the Facilities page and the fees can be seen on the Fees page. Please use the below availability calendar to see what is available when but please note it is possible for us to have received bookings that are not yet shown on the calendar. Once you know what you want to book and when then please complete the Bookings Form above and we will get back to you as soon as we can. I have appropriate Certification for my Organisation (i.e: Nights Away Permit for Scouting) and/or supervision will be by people with a valid DBS Certification. NB. All bookings are subject to confirmation by the bookings secretaries and bookings with a total cost of £200 or more are subject to a non refundable £50 deposit. If you want to enquire about more than one set of dates or you would like more information or advice about what to book then please email or phone the bookings secretaries, Martyn Leat on booking@wikecampsite.org.uk. We will attempt to accommodate late notice bookings where we can but please try to make bookings including for evening visits at least a fortnight in advance to allow us time to try to find available duty wardens.